If you use your smartphone mainly for emergencies, or use Wi-Fi to browse the web whenever you can, then FreedomPop may be a viable solution for you. If you don’t use much data (under 200 MB), never go over 200 minutes of talk time per month, and 500 messages is all you need for texting, then FreedomPop service is free. They provide a SIM card that you can use in an iPhone or Android phone. I experimented with both phones, so I can tell you what you need to know. I also will explain how to specify the proper settings in your account to avoid all monthly bills. I’ve been using FreedomPop for a year now, and I only got billed once when I went over my free allotment. I’ll explain that later (below) and I’ll even tell you what to do to avoid it altogether. They provide several great benefits that I find unique among cell phone carriers. You can use your own smartphone as long as it’s a GSM phone and is unlocked for any carrier. They have apps for iOS and Android. Download the “FreedomPop Calling & Texting app” from the Apple App Store for iPhones, or the “FreedomPop Messaging app” from the Google Play Store for Android phones. They have great pricing for high usage plans and a free plan with limited usage. Even the free plan provides true 4G LTE talk and data. My iPhone displays AT&T as the carrier, although I know they use the Sprint Network in some cases. It all depends on the phone you use. There is no contract, so you can cancel anytime. However, if you want to hold on to a phone number for later use, there's no charge for keeping the account open if you're not using it. I never canceled my second account with FreedomPop, which I had used to test a SIM card in an Android phone. That SIM card is still active with a phone number in case I ever want to put it in another phone. It uses Wi-Fi when available, and that works for talking and texting in any country. Therefore, you can use your phone while traveling internationally. You just need to be in a Wi-Fi hotspot. There are a couple of negatives: Poor customer support and unclear guidelines that catch people off-guard if they don't read the complete instructions. I discovered that customer support is extremely poor. They do respond to emailed support questions, but only after a long delay and without any understanding of the question that was asked. Their replies to my questions have been totally useless. Being a systems analyst, I was able to figure things out on my own, and I'll walk you through the steps. The service begins with a higher-valued plan as a free trial for a month, and then they start billing you unless you downgrade. The confusing thing for some people is that one needs to downgrade to a free plan and to a free service before the trial month is over in order to avoid any billing. As of December 2017 it does look like they are making an effort. I have noticed that they completely revamped their website since I began using the service a year ago. It's easier to navigate and easier to make changes. 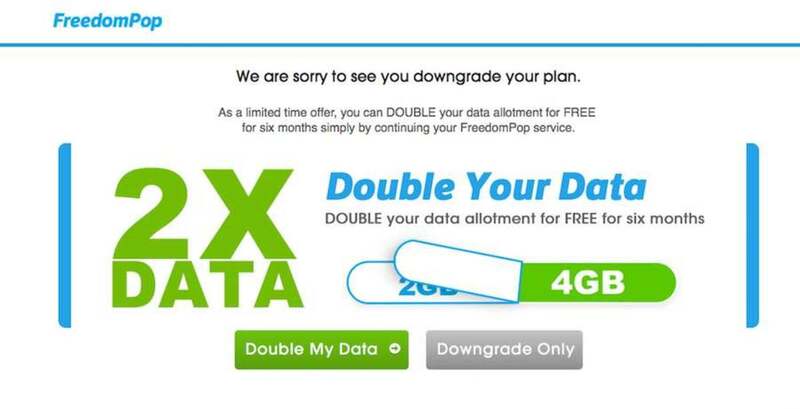 I see many people complaining in social media forums that FreedomPop is crooked and they charge monthly, even though the plan is supposed to be free. I have news for you. Those forum posts are by people who obviously never read the fine print, but I’ll help you with that too. The service infrastructure is excellent since it uses the AT&T network, and that's what counts. As long as you know what you're doing and understand how to stay within the limits of the free service, this works well. When I first started using the service, I had questions. I received a reply to my support questions with silly answers that didn't even apply to the questions I had asked. This showed that the agent didn't care to carefully read my query. He or she should have just said to go to support.freedompop.com (I discovered that later on my own). All the technical answers are there, and you really don’t need customer support from a human being. As a businessperson I appreciate the fact that live support can't be given with a free service, but those online support pages should be made more obvious and more available to users. Your service starts with a billable plan and service (see the list below). If you only need 200 minutes of talk time a month, 500 text messages, and no more than 200 MB of data, you can downgrade to the free plan. You won't get cut off since you'll be topped-up with additional data charged at US 2.5¢ per megabyte in $15 increments, but you can opt out of that option. You need to make three changes to your account in order to properly downgrade to the free service. A lot of people miss that point. I'm good at doing research and analysis, that's my background. So I have thoroughly tested FreedomPop options and I can assure you the free service is indeed free! You just need to properly opt out of three individual billable items, as I'll explain. They call it downgrading. The initial offer makes it clear that you need to downgrade within 30 days if you don’t want to be billed. They are totally honest about that. I keep seeing forum posts where people complain that they are being billed. Each time it’s because they missed the 30-day mark to downgrade, or they didn't opt out of all three items. I can’t make that clear enough, so I’ll be giving you detailed instructions about that below the list of available plans. This plan is free in the first month trial. This service is free in the first month trial. Includes three services sold individually: Voice Mail, Up to 20GB of Unused Data Rollover and MMS (with Group Messaging). Includes four services sold individually: Voice Mail, Unused Data Rollover, premium support and secure your mobile devices (whatever that means). I don’t find this necessary. This service let’s you send video and image files to other cell phones. It will use your data, so be careful. This activates your voicemail service with a personal greeting that you can record. Without this service, people will still be able to leave a message and you will be notified via text, but you won’t be able to listen to the voicemail. The messages will be kept for 30 days in case you want to activate and pay for this service and pick your messages. I never tried this, but I assume you may get better real live support. I never found it was needed as long as one reads everything and understands the services. On the other hand, just follow what I explain in this article. Another service I never tested. Supposedly it gives you similar support as above at half the fee. Who knows! You can activate a local number to use your phone in various countries. Remember, what I mentioned earlier, that your US number works overseas via Wi-Fi. However, a local number is useful if you want to receive calls from people in that country while you’re there. You can rollover up to 500MB of unused data per month. This feature is better under the FreedomPop Premium Plus service for $7.99 (see above). 100 minutes of international calls per month at no charge. 300 minutes of international calls per month for flat fee. 1000 minutes of international calls per month for flat fee. The service is activated automatically when they ship the SIM card to you. That’s unfortunate, because it may take a week to get to you. They don’t use the fastest shipping carrier. You need to know when your 30-day trial began, so pay attention to the shipping notice. Your service automatically starts with the “Premium 2GB LTE Unlimited” plan and the “FreedomPop Premium Plus” service. Both are free in the first month. The 2MB plan normally costs $24.99 per month and you will be charged this amount starting in the second month unless you downgrade to the free service. The “Premium Plus” service is another $7.99 per month. That charge also begins after the first month. This service gives you Voice Mail and rollover of any unused data (up to 20GB). That’s a nice feature, but do you really want to pay for it? You can opt out of the “Premium Plus” service, change plans, or opt out of everything and continue with absolutely no monthly billing. I know—I’ve done it. Over the past year I only was charged once when I knowingly went over my free allotment. If you ever do need more data or talk time, you can change to one of their billed plans and change back to the free plan at any time, on a monthly basis. Charges will be pro-rated, based on when in your monthly billing cycle you change to a higher plan. This must be done before the end of your free trial month. Remember that the trial started when the SIM card was shipped to you, not when you began using it. You can downgrade within the phone app or on their website. The process is a little different on an Android or Apple iOS, so I'll just explain how to do it on their website. I noticed when I checked the remaining days on the phone app two days before the next billing cycle, it said “4 days remaining.” This can cause someone to miss the deadline for downgrading, and end up getting charged. The number of remaining days in a billing cycle has always been correctly reported on the website. Click the menu button (≡) at the top-left corner. Select “Overview” and you will see your usage. Click “Details” under Billing and you will see your “Next Payment Due Date” under Billing Overview. Of course the payment will be zero if you have the free plan and free service. Follow along with me and you’ll avoid any charges. Click the menu button (≡) at the top left corner. You will see your present plan on the left and a list of available plans on the right. Select the “Basic LTE 200” plan, which is free. This indicates that the change to the free service is retroactive and if you used any of the minutes or data beyond the limits of the free service, you will be charged. I found, with two separate accounts, that if you wait until two or three days prior to the end of the trial month, changes will not take effect until the next billing cycle. Therefore, you will avoid retroactive charges. 5. Click the “Downgrade anyway” link at the bottom of the red warning box. 6. Password verification is requested at this point to downgrade. 7. You may get an offer, like the one below, to stay with your present plan with double the data for six months. This is up to you, but this is not a free offer. 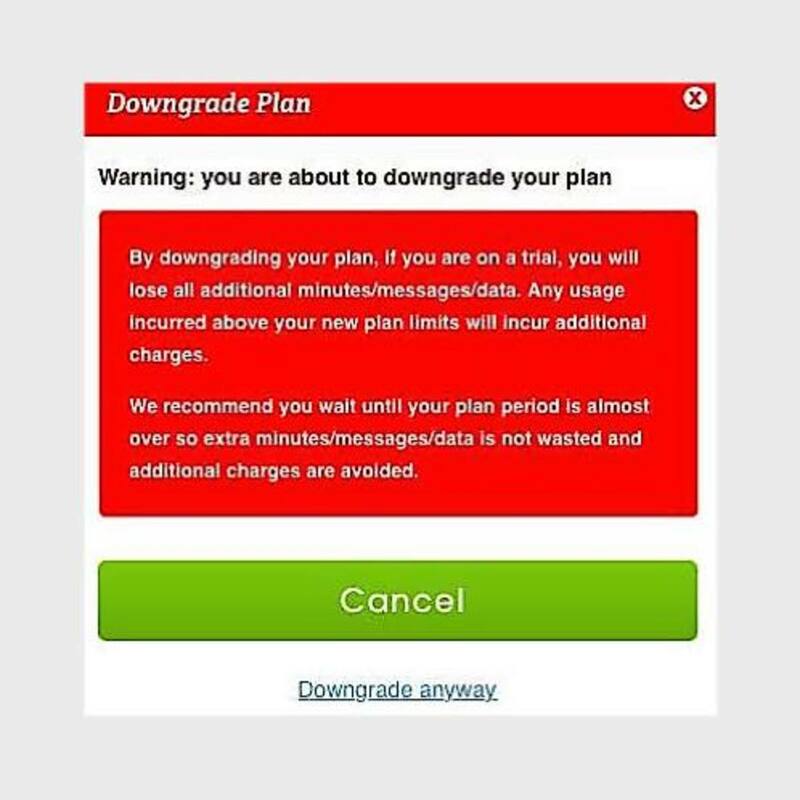 If you definitely want the free plan, click “Downgrade Only” and you will see a confirmation. Click "Next" to close that page. If you click the pull-down menu and select “Plan” you’ll see the new plan you’ve selected. FreedomPop is being very honest. It's unfortunate that some people just don’t bother to read everything. Then they end up complaining instead. 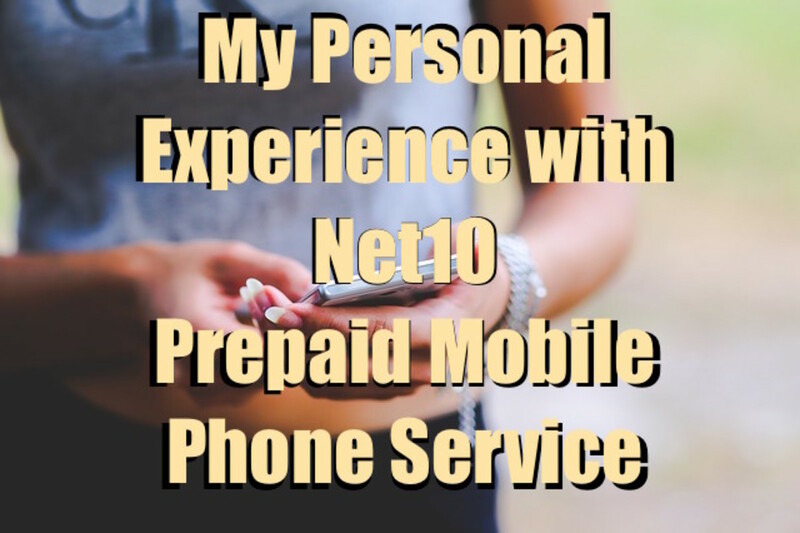 You still have the “Premium Plus” service that gives you Voice Mail and rollover of unused data. Although this is nice to have, you have to make a decision if that’s important to you for $7.99 a month, or if you really want a totally free service. After that, you should verify that it says “No Services Found” on your services page. They try to keep you as a paying customer. Can you blame them? At this point you may be given an option to keep just the data rollover for $3.99 a month. I personally don’t think that’s worth it because the free service only gives you 200 MB. The rollover of unused data wouldn’t add up much. The little that gets accumulated isn’t worth the $3.99 in my opinion. In addition, if you ever cancel the rollover option, you will lose any data you had accumulated. I think it makes more sense to just pay for an upgraded plan when and if you need it. Therefore, when they ask if you want the rollover plan, I suggest you click “Downgrade and lose data” to make it totally free. You’re just losing any rollover you might have had. You will receive an email similar to the following. Don’t let it scare you. It simply means that you canceled the add-on service that would have cost you $7.99 a month. They always try to convince you to try something else in hopes you will become a paying customer. Some people never read these things carefully. If you select one of these options, it’s only for a free trial. After 30 days the billing starts unless you opt out of whatever trial option you chose before the next billing cycle. This is why it's so important to make sure you selected both a free plan and a free service, and that you do not opt into any extras that begin billing after 30 days. If you follow my instructions, you will have a free service. Is there a catch? You bet there is! And I'll tell you how to control that too. Now that you downgraded everything, you will not be charged going forward. It’s working for me. What do you get with your totally free cellular service? You get 4G LTE data, but only 200MB per month. Note that 1 Gigabyte is 1000 Megabytes, so 200 MB can get used up very quickly. 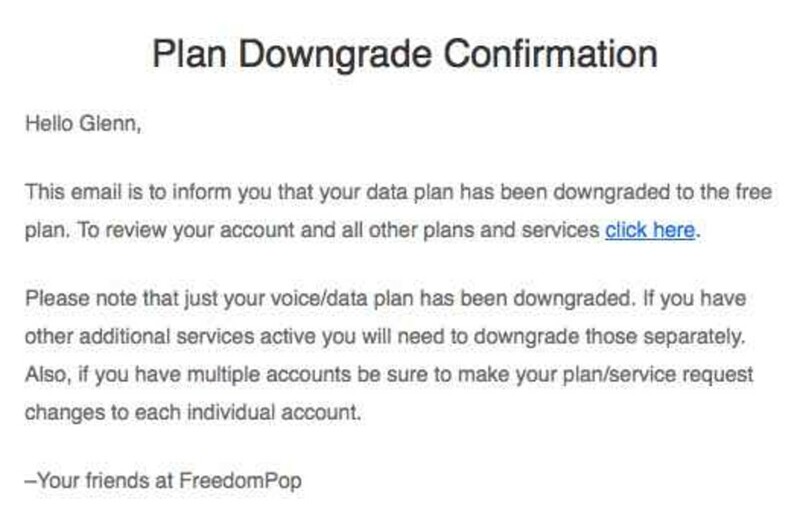 If you go over your limit, FreedomPop will not cut you off. You will be charged for the extra data as I noted in the plan listings earlier in this article, so you need to keep tabs on your usage. You also get 200 minutes of talk time and 500 text messages. 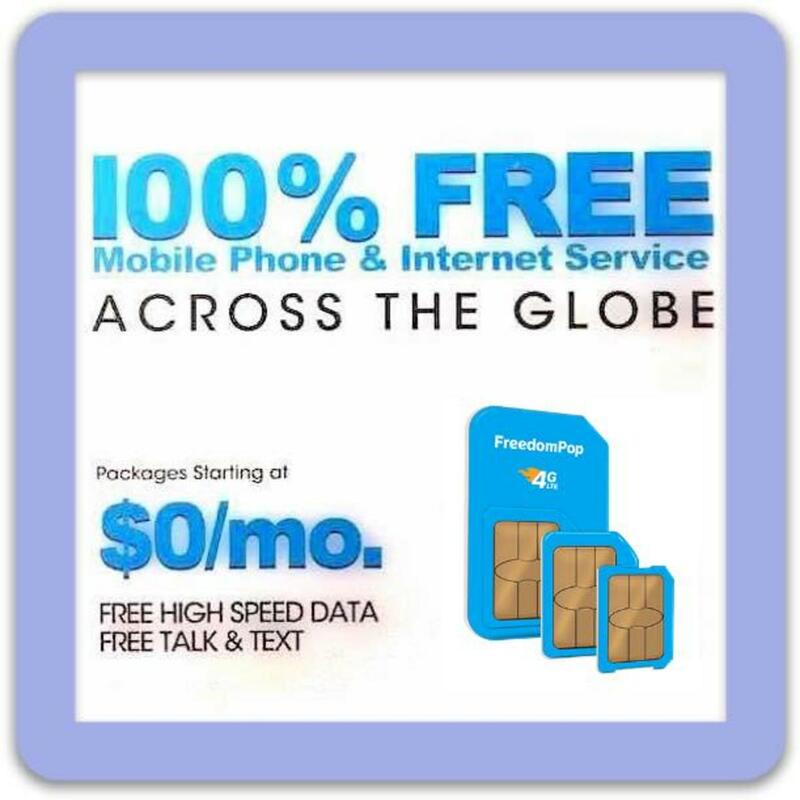 FreedomPop uses cellular data (or Wi-Fi if available) for voice calls using VoIP technology. If your call goes over Wi-Fi then your data is not depleted, otherwise your talk time uses up your data. One minute of talk time uses about ½ MB of data. 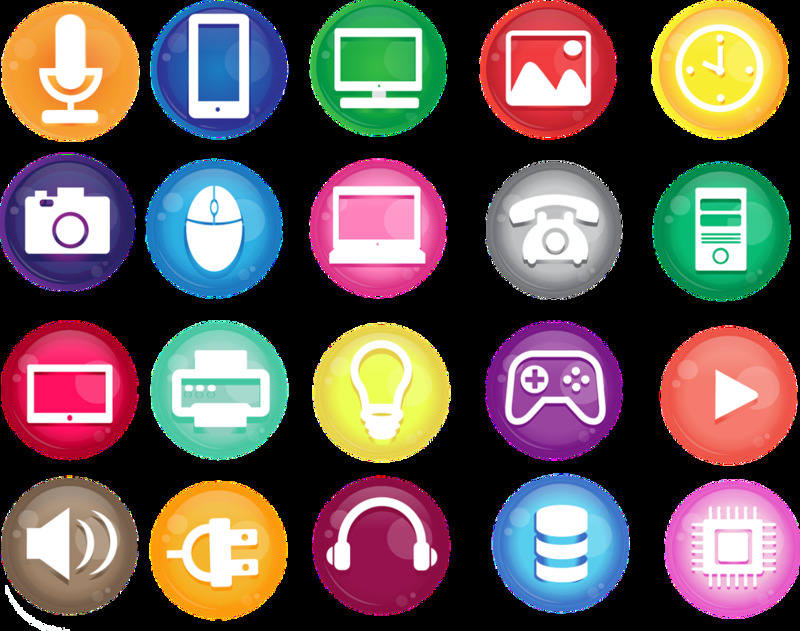 If you can live with all that, you’ll be happy with a great service that’s free of any monthly charges. But there still is one more catch. It has to do with topping up. I mentioned earlier that if you go over your free allotment you would be charged. This is called Automatic top-up. When you get within 100MB of remaining data, more will be added to your account with a minimum $15 charge. This only happened to me once and I knew it would happen. I usually use data over Wi-Fi, and that’s free. I also disabled high-usage apps from using cellular data in my phone settings to control data usage. However, one month I used a lot of cellular data because I wasn’t near a Wi-Fi hotspot and I watched a lengthy video on my phone. They actually sent me warnings that I was approaching my limit. 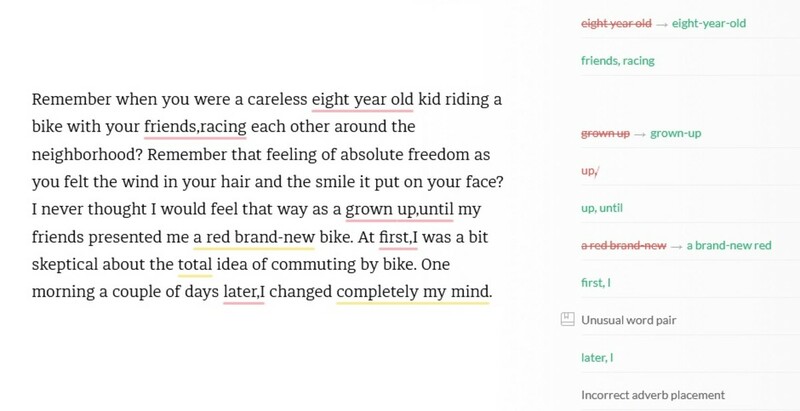 That was kind of them, but I was curious for the sake of writing this article, so I kept watching the video. 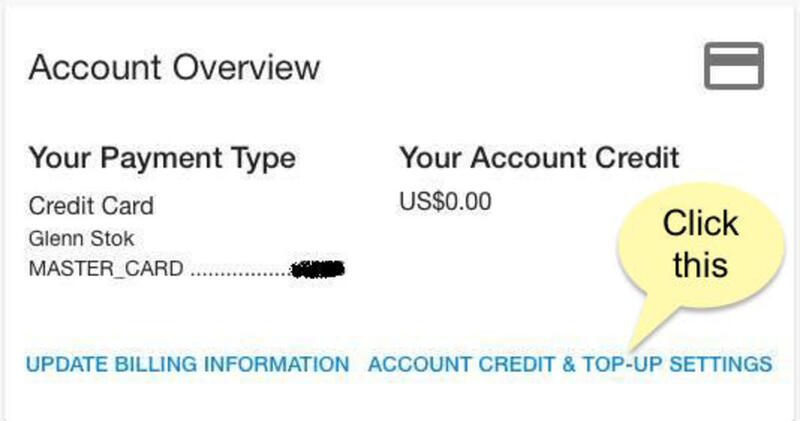 Sure enough, my credit card was charged $15 to add more data for me to use for that month. That’s called automatic top-up. You can actually opt out of that too! 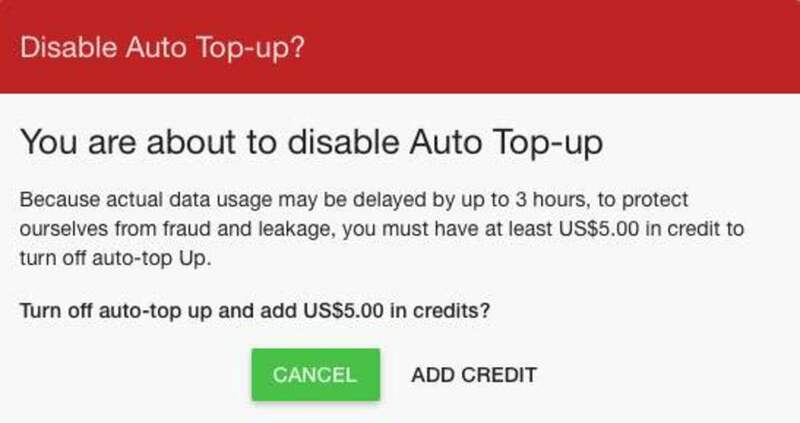 If you prefer not to have Automatic Top-Up, you can disable it in your billing settings. However, FreedomPop will need to hold a $5 fee to cover any overage in data usage because data reporting from the carrier is sometimes delayed. I prefer to keep Automatic Top-Up just in case I need extra usage at times. The pricing is reasonable and I’d rather not get cut off when I may need it the most. I feel that getting charged $15 once in while (when I need it anyway) is worth it. Opting out of it is a choice you need to make for yourself. To opt out, log into your account and click the menu button (≡). Select “Billing” and then click “ACCOUNT CREDIT & TOP-UP SETTINGS” as shown below. You’ll see an option to disable Top-Up. When you do that, you will get the following warning about the $5 charge. That will be held to cover any data leakage as they explain in the warning. You will be protected from ever getting a $15 charge for going over, but remember that you may experience interruption of service if you approach your data limit. If you do ever need more than 200 MB of data per month, it’s easy to switch plans by selecting any of the plan options. You can do that on the website or from the phone app. You can switch plans any time. If you are going on a trip and need extra minutes or extra data for a month, you can select one of the paid plans for that month. The GSM SIM Cards are global, so you can use them in over 20 countries outside the USA. This works globally because FreedomPop uses VoIP to place calls using the G3 and G4 LTE data network rather than the cellular network. If you should ever decide to cancel your service, you can keep your number. FreedomPop makes it easy for you to move your number to another carrier. Log into your account and select “Port Out Info” under Settings. You will see a Pin number that you need to provide to your new carrier to initiate the port out process. Do You Remember the Three Important Things? You may recall at the beginning of this article I said there were three things you need to change in your account in order to have the totally free service. Have you caught all three in my instructions? Here they are once again, just as a simple recap. Select the “Basic LTE 200” plan. Do you understand what the three things are that need to be changed? No. 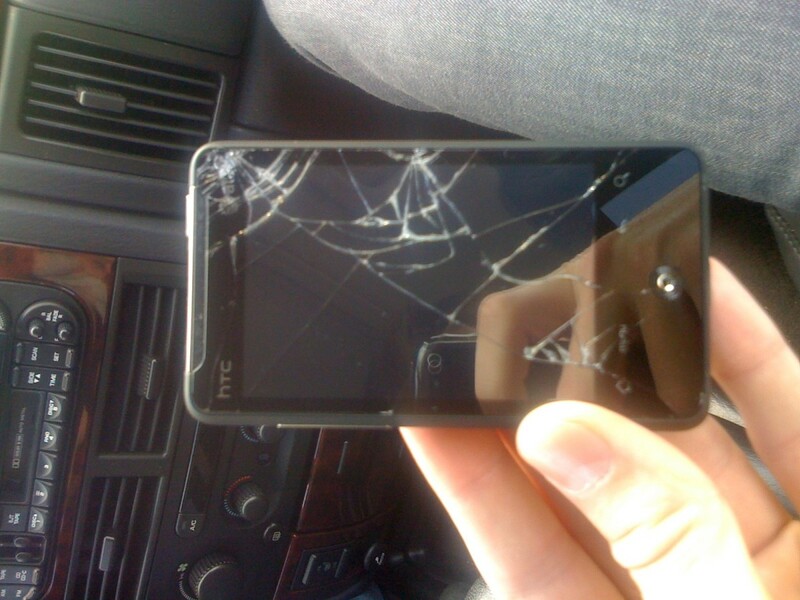 I missed something, but I'll review it when I get the SIM card. In order to activate your FreedomPop Service on your own smartphone, you need to get a SIM card kit. The kit includes all SIM sizes so you'll have the right one that fits your iOS iPhone or Android phone. You can see the FreedomPop 4G LTE SIM Card on Amazon, but I suggest you don’t buy it there. Do a Google search for “FreedomPop SIM Card” and you may find deals for $5 or less direct from FreedomPop or from Target, Walmart, or others. Do I need an unlocked phone to use the FreedomPop Cellular service? If you have a GSM phone, then it needs to be unlocked. FreedomPop uses both the AT&T network and the Sprint network to provide cellular service. FreedomPop will give you a SIM card for your unlocked GSM phone that will use AT&T LTE service. If you have a CDMA phone, that’s more complicated. 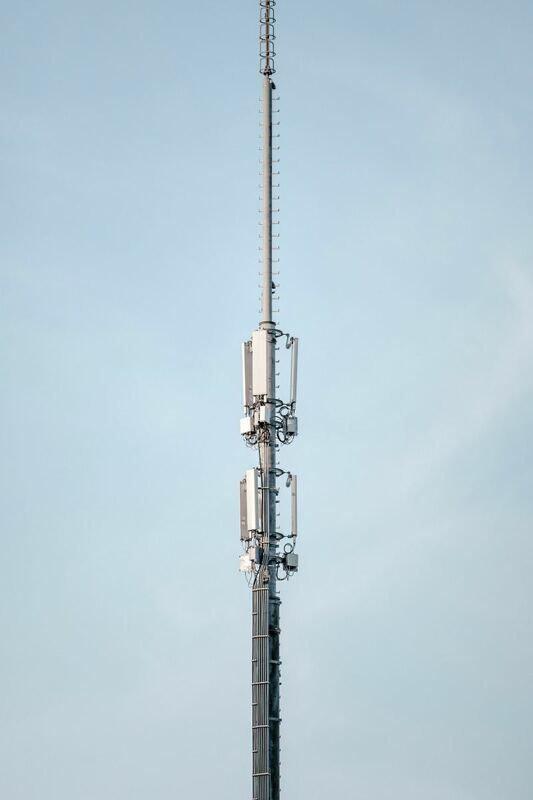 FreedomPop uses Sprint's CDMA network to provide service to its CDMA phone customers. These phones do not use SIM Cards. Sprint pairs a SIM to the phone's MEID numbers. Therefore, if you have a “Sprint Locked” phone, that should work. Some newer CDMA phones are a hybrid — they are “Sprint Unlocked” but also contain a SIM tray to use for other networks. Those would work too. 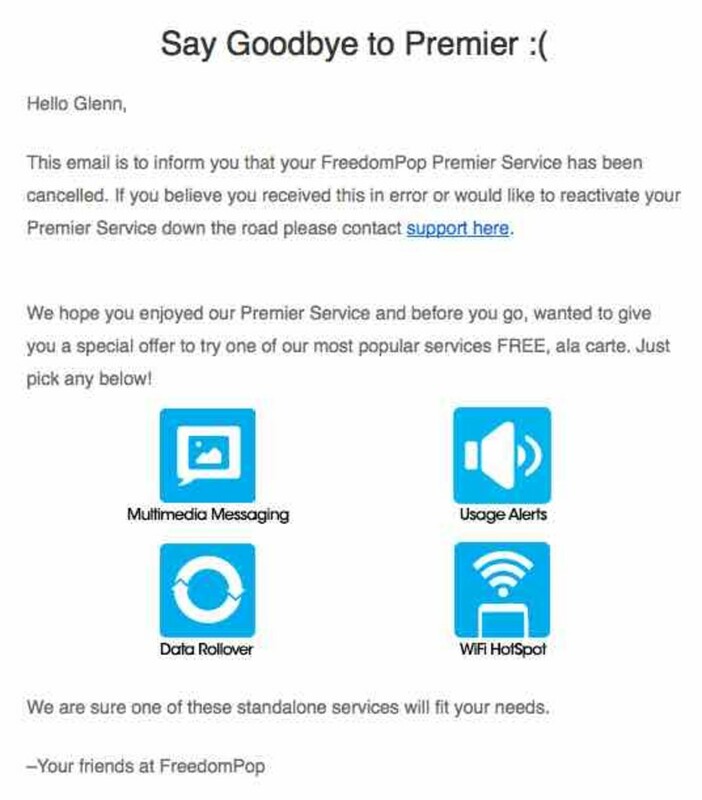 Do you have to switch an existing service to begin with FreedomPop? If yes, how difficult is it to cancel the contract to leave the previous carrier? You do not need to switch an existing service unless you want to keep your old number. FreedomPop lets you chose a new number from a list of available numbers when you open an account. You need to do this even if you decide to keep your old number. Once you have the service activated, you can request to move your number from your previous carrier and drop the temp number you started with. Or you can just keep going with the new number you selected. To answer your other question about how difficult it is to cancel a previous contract, that all depends on the rules your previous carrier has. I cannot answer that. I can only tell you what to expect. If you are still under contract, they will either not release your number or they may charge a termination fee. You need to contact your carrier for the actual details. Terry - I discussed this under “How to Disable Automatic Top-Up” in this article. You only have to pay a one-time fee to disable automatic top-up. Don’t select the “safety mode” option when you see the offer appear. Decline it. You don’t need it and it will cost you a $6.99 monthly fee. Just select the “disable automatic top-up” option with the slider switch. That only has a $5 one-time fee. See the details under the subheading above in this article. Regarding the DISABLE AUTOMATIC TOP OFFS. A page on their web site says in order to disable automatic top offs you have to have Freedom Pop Safety mode services which costs 6.99 per month. Is this right? Eric Farmer - Since you use over 200MB per month, FreedomPop wouldn’t work as a free service for you anyway. As for upselling, they are in business to make money, so you can’t blame them, as I mentioned in the article. If they didn’t have paying customers (who needed more data) then they wouldn’t be able to offer free service to those who don’t need that much data. I have heard of this service before. 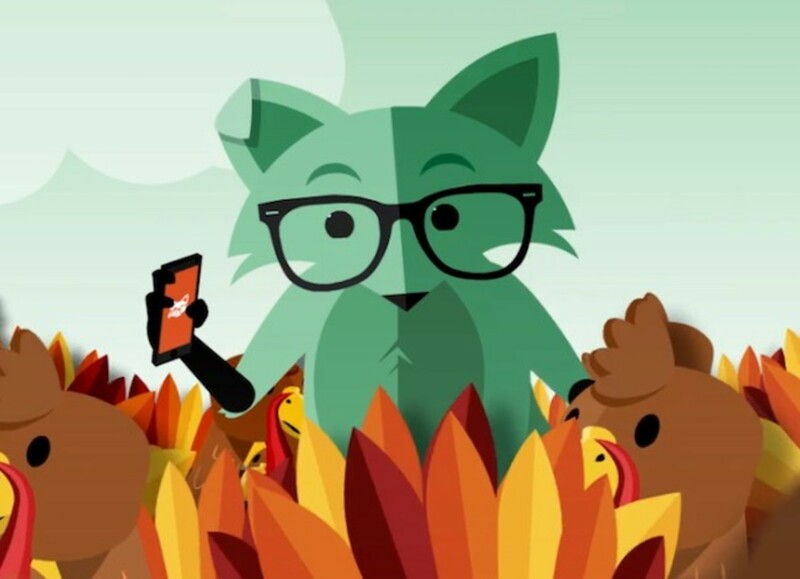 I saw it on a Google or Facebook ad. While I do truly believe FreedomPop offers a free service I don't like how they are trying to upsell you and hope you end up paying for something. I can understand for truly low usage this would be great but it sounds like lots of hoops to jump through to me. That and I use over 200MB of data each month in one APP alone. But like I said I can see this service being good for some people. A very informative Hub either way. 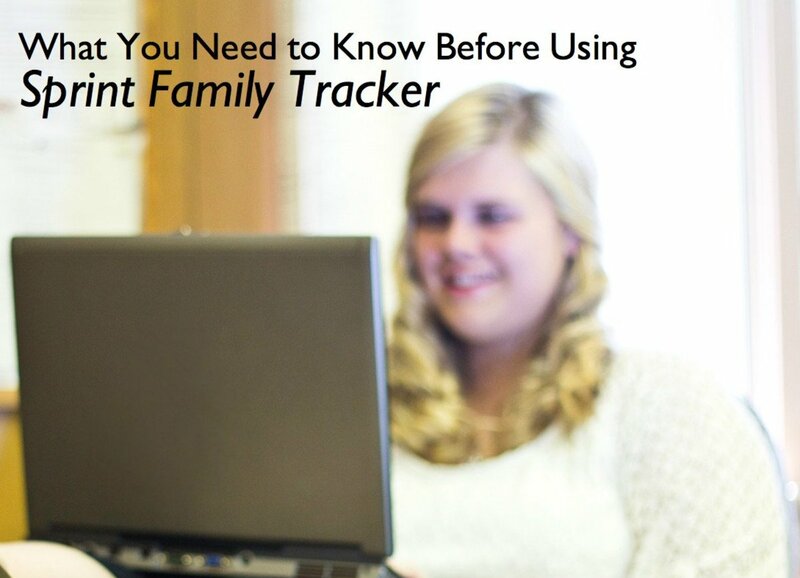 Natalie Frank - I recommend this for low-usage customers. If your usage is higher than the free limits, this may not be good for you. You’d have to compare the pricing of the various non-free plans that I included in the table in this article. Heidi Thorne - I noticed that they don’t advertise too much, maybe because they get a lot of word-of-mouth references. Your articles are always so fill of information! This is the first I've heard of this carrier! I plan to read over this again as my monthly phone bills are so high. Thanks for writing this! I didn't even know this existed. Good to know. Thanks for sharing your knowledge, as always. Happy Holidays!